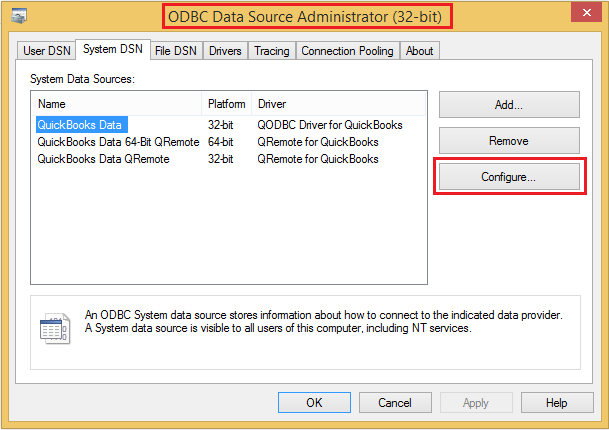 I can't configure QuickBooks Data DSN from Configure QODBC Data Source window. When I click on QuickBooks Data, configure is grayed out. You have opened a 64-bit ODBC manager, On 64-bit platforms, 32-bit ODBC drivers are available to 32-bit applications, but not to 64-bit applications. What determines which ODBC driver architecture used is whether your application is 32-bit or 64-bit not whether your client platform (or database platform or DBMS) is 32-bit or 64-bit. Since QODBC is a 32-bit only ODBC driver, the only applications that can access it are 32-bit applications. 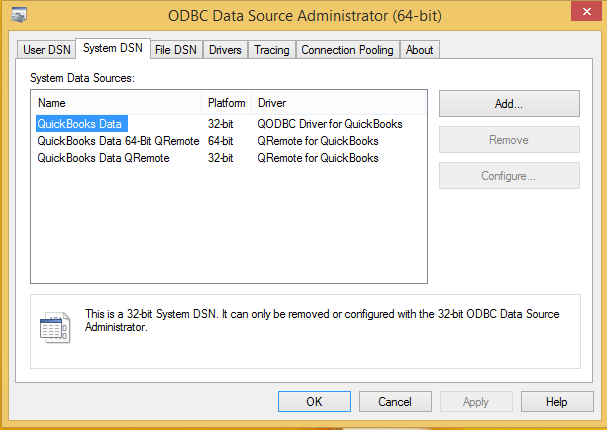 So if you open ODBC Data Source window by default it will open 64-bit ODBC Data Source Manager because OS is of 64-bit. 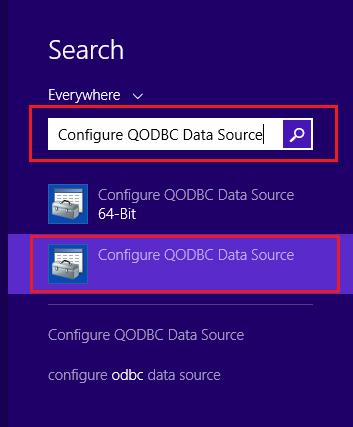 You need to search "Configure QODBC Data Source"
Open Configure QODBC Data Source>>Go To "System DSN" Tab>> select QuickBooks Data>> click "configure"